Title insurance is a bit different than most insurance that people purchase. A title insurance premium is paid only once, at closing. And while most insurance covers possible future events, title insurance covers possible events of the past. Specifically, title insurance is insuring that a title is clear of liens and encumbrances. Imagine purchasing a home, only to find out months down the road that there is a lien against your property or worse yet, the seller of the property was not the rightful owner. Title insurance is vital in a home purchase to avoid these situations. There are two types of title insurance: an owner policy and a lender policy. The owner policy covers the owner of a property against any past liens on the property. The title company guarantees a new buyer that the home they are purchasing has a free and clear title and if an issue comes up after the purchase of the home, the title company will take care of it. An owner policy in Colorado is typically paid for by the seller. The cost of the policy is dependent on the purchase price of the home. Title insurance companies can provide you with a rate sheet, and rates go down if you have had a refinance in the last five years. The reason for this is that when you refinanced your home your title was investigated. So the title company knows that any new issues with the title would most likely have come up since that time. If you have owned your home for twenty years without a refinance, that is a lot of years for possible problems to arise. As a seller, you may be thinking that you own your home and you know you own your home free and clear so why should you have to purchase title insurance. First of all, it lets buyers purchase your home with confidence. Second of all, sometimes mistakes are made. You may have a cloud on your title and not be aware of it. A lender will require the homebuyer to purchase a lender policy. This policy covers the lender if any title liens or encumbrances come to light after the home purchase. In Colorado, the buyer almost always pays for the lender policy. This is paid as part of the closing costs. Most people do not have a preferred title company since it’s not so often that one sells a home. It is the seller’s choice of which title company he/she decides to use. Before listing your house, you may choose to contact a few title companies to check their rates. However, most sellers ask their Realtor for their suggestion on what title company to use. Realtors deal with title companies on a regular basis and usually have suggestions on companies that are good to work with. Most title companies in Colorado offer similar rates. However, sometimes the customer service can vary greatly. 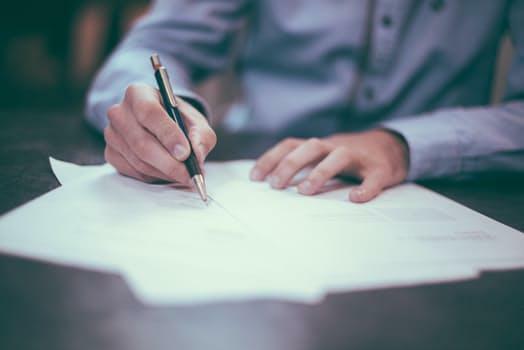 Title companies organize your transaction and having an experienced closer and reputable company can make a difference in the closing of your home.